Shopping hours are Monday to Friday 9 a.m. - 6 p.m. and Saturday from 10 a.m. to between 2 and 5 p.m. (depending on the shop). The Kringlan shopping center is open Monday through Thursday 10 a.m. - 6:30 p.m., Friday 10 a.m. - 7 p.m., Saturday 10 a.m. - 4 p.m. and Sunday at 1 p.m. - 5 p.m. Some shops stay closed Saturdays in summer although many supermarkets remain open until 11 p.m., seven days a week. Laugavegur is the shopping street in the downtown area. In this popular shopping area of Reykjavik, visitors find a large number of shops and craft studios, but it's not exactly the cheapest area to go shopping in Reykjavik. Instead, Skólavödustígur (the street leading from Laugavegur to the Hallgrímskirkj church) has turned into a very hot shopping area. Several shops can be found selling outdoor wear and equipment, such as Skátabúdin at Snorrabraut 60. The Kringlan shopping mall in the new city center of Reykjavik is a shopping hub of social activity. Get some souvenirs from Íslandia, the popular store with Icelandic souvenirs. Fur apparel is found at Eggert at Skólavördustígur 38. The famous lopapeysa (Icelandic jumper) are also great to bring home - they can be bought in every bigger store in Reykjavik. The flea market located at Laugardalur 24 is open Saturday 10 am - 5 pm and Sunday 11 am - 5 pm. Here, budget shoppers can find all kinds of typical flea market paraphernalia at low prices. 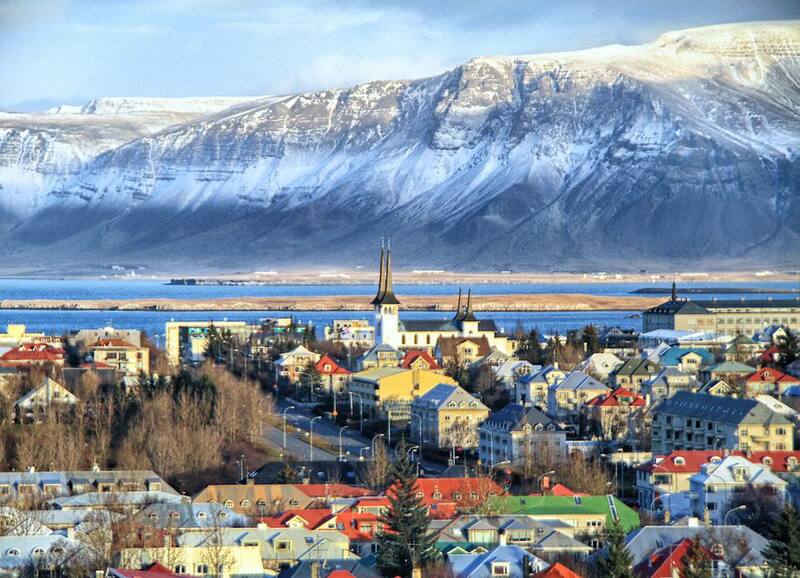 You can save up to 20% while shopping anywhere in Reykjavik by using the Iceland Travel Discount Card. VAT (Value Added Tax) on most goods in Iceland is 25.5% (books are 14%). A VAT refund when you leave allows you to recover taxes you originally paid when shopping. To qualify, a minimum purchase of IKr 4,000, (around $32) including VAT, must be made in a store displaying a "Tax-Free" shopping or "Global Refund Tax" sign or flag, and you must ask for a refund check when paying. For refunds of over IKr 5,000, (around $40), the goods will have to be shown at the airport to get the refund.